All Saints Church Hall was erected no later than 1855. It appears in the 1855 Fitzroy Ward rate book as a cast iron store owned by Charles Black and occupied by Henry Hyslop, a horsehair manufacturer. In the later 1850s it was owned by Edward Mills, a blacksmith, who sold it in 1862 to John Davies, builder and contractor and MLA for North Melbourne. 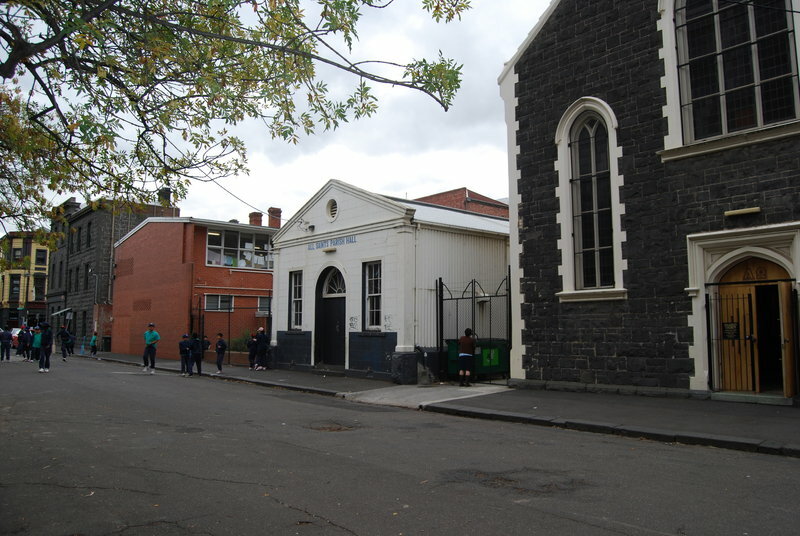 The building passed through ownership of the Wesleyan Methodist and Fitzroy Rechabites, and back to the Wesleyan Methodist by the 1880s. The Methodists called it the Wesleyan Jubilee Hall. The Methodists sold it to the Roman Catholic Trusts Corporation in 1936. 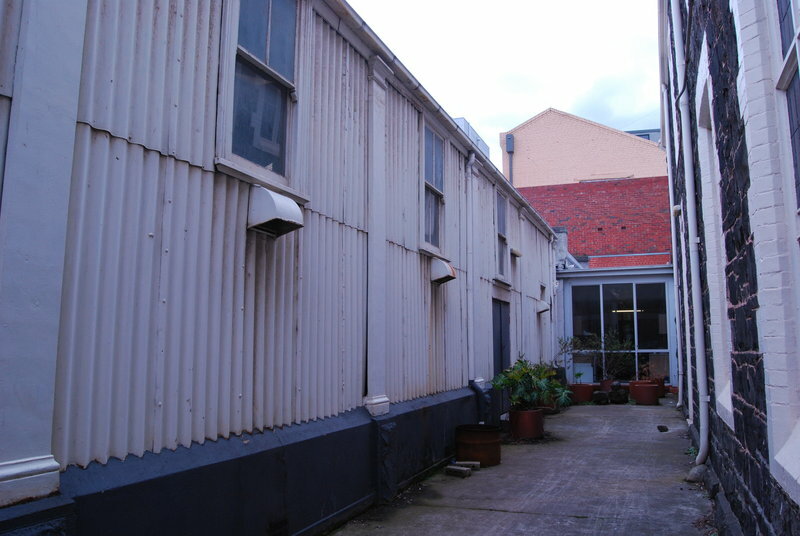 The building is approximately 25m x 8m and the walls comprise a cast iron stanchion frame with heavy gauge corrugated iron cladding. The heavy cast iron stanchions, which are cast with the name 'Edwin Maw, Liverpool' on their external face, sit on bluestone plinths. The building has been modified by addition in masonry of a simple Doric style temple front with pediment, central door with fanlight and pair of sash windows. It was probably added in the 1860s by the Methodists. Internally, exposed king post timber trusses over the stanchions carry the ceiling of timber lining boards. The roof has been recently reclad with galvanised metal. Side windows are also timber sashes and likely to date from at least the 1860s. Internally the hall is plain, with timber dado and plaster walls, possibly over original calico lining, and a more recent timber floor. Although the Methodists and other religious groups imported buildings and occasionally entire prefabricated iron churches, there is no historical evidence that this building was imported specifically as a chapel. It is more likely that it was an example of the numerous prefabricated iron buildings imported for general commercial purposes into the colony of Victoria from England and Scotland during the 1850s. 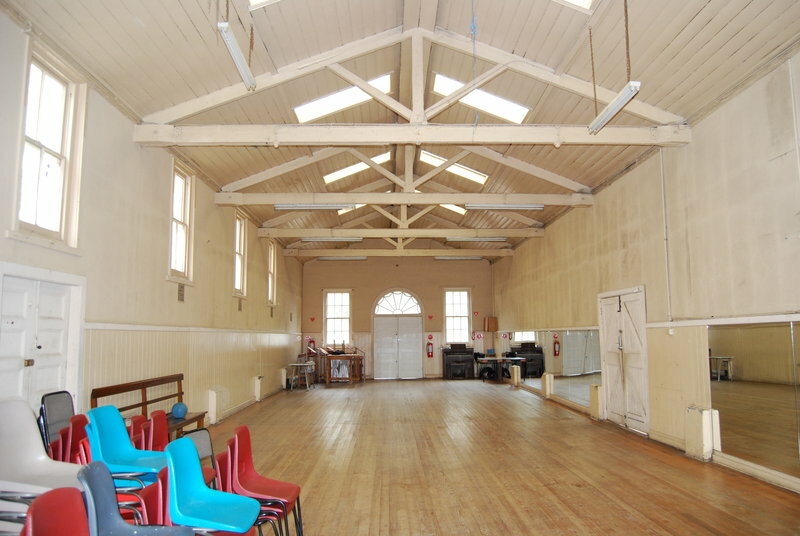 All Saints Church Hall is of architectural and historical significance to the State of Victoria. 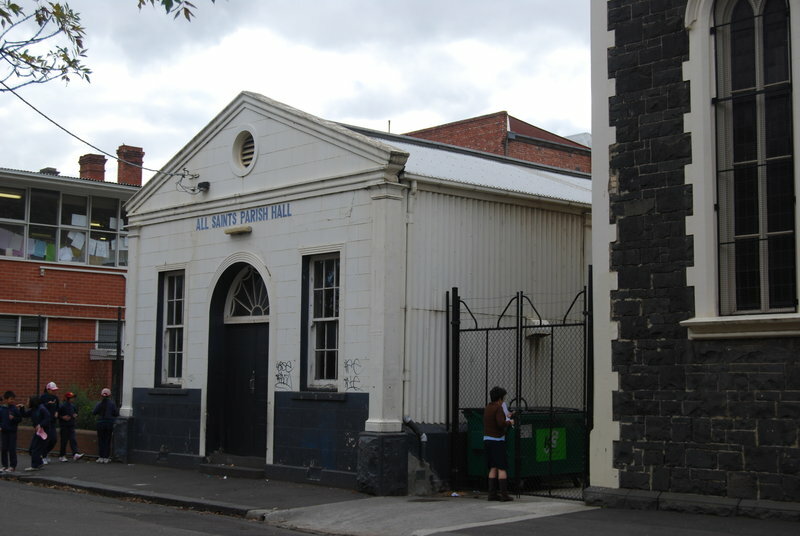 All Saints Church Hall is of architectural significance as an example of a prefabricated iron building of the early 1850s. It has typical prefabricated construction of cast iron stanchions and walls of heavy gauge corrugated iron. It is the only known example of an Edwin Maw building in the State. All Saints Hall is of historical significance as a rare survivor of a prefabricated iron building imported into Victoria during the early gold rushes. Hundreds of prefabricated iron buildings, houses, churches and government buildings were imported during the 1850s and although a few prefabricated iron government buildings survive, most known surviving prefabricated iron buildings in Victoria are dwellings. This example is one of a few known prefabricated iron commercial buildings. 1. 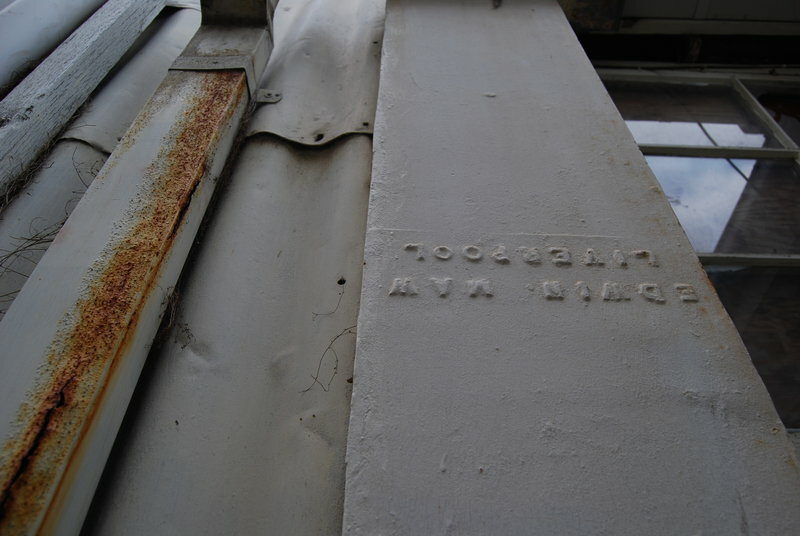 All of the building known as All Saints Church Hall marked B1 on Diagram 2172 held by the Executive Director. 2. 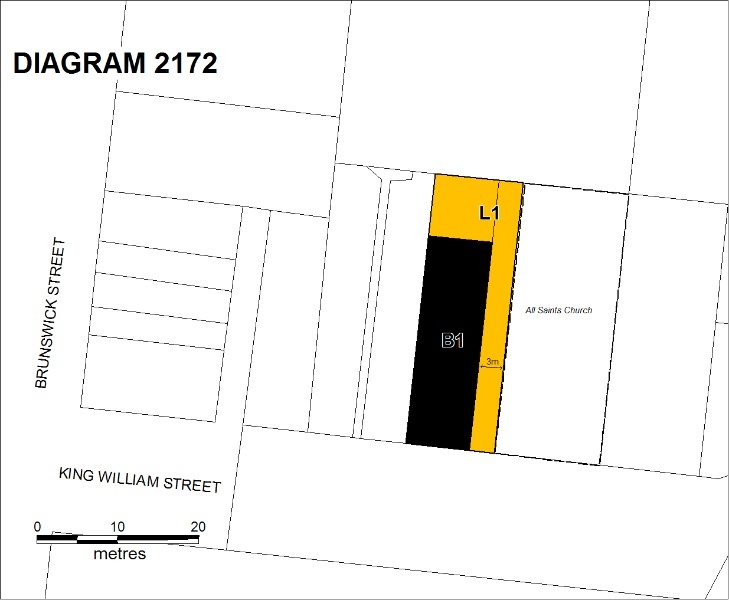 All of the land marked L1 on Diagram 2172 held by the Executive Director being all of the land described in Certificate of Title Volume 1230 Folio 859 and part of the land known as 97-107 King William Street Fitzroy. Prefabricated iron houses were amongst the thousands of prefabricated iron and timber buildings imported to Victoria following the first gold rushes of 1851. Prefabricated buildings overcame the problem of scarce and expensive labour in the colony. Not only houses, but warehouses, shops and churches were imported to Victoria. Several substantial iron houses imported by migrants have survived including mansion sized buildings Corio Villa in Geelong and Tintern, Toorak. 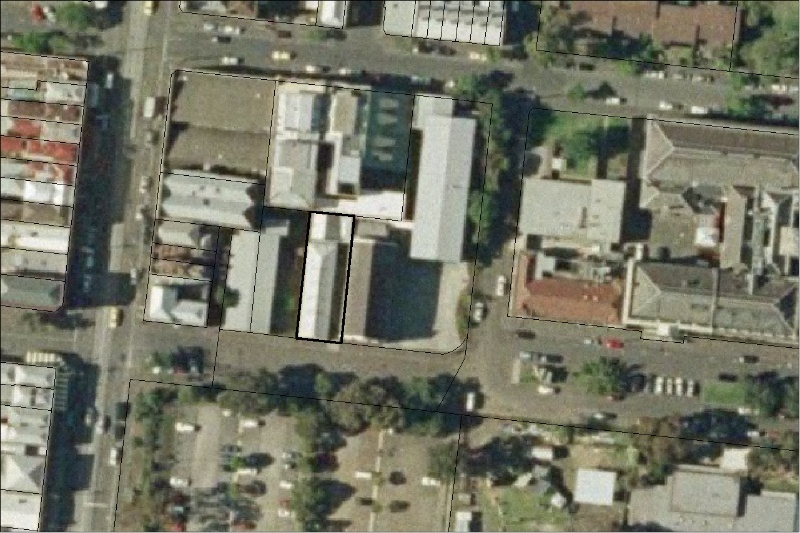 Three smaller cottage size residences by three different manufacturers survive in Coventry Street, South Melbourne, two of which have been relocated from other sites. Other prefabricated iron houses survive at Swan Hill and two storey examples survive at Yapeen and Moe. Erected before 1855 and formerly a store, this prefabricated iron building by Edwin Maw, Liverpool is a rare survivor from numerous examples imported into Victoria during the early gold rush period. It is the purpose of the permit exemptions to protect the prefabricated iron structure and external corrugated iron wall. Changes should avoid cutting through the corrugated iron walls. The repainting of the hall internally is permit exempt. The windows and doors are all likely to be later 19th century modifications and not as critical to the significance of the place as the prefabricated material.